The photographs processed in this segment were created from August 14, 2000 through August 15, 2000 & August 17, 2000 through August 18, 2000 & August 20, 2000 through August 21, 2000. 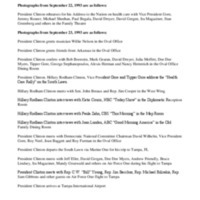 The segment contains photographs pertaining to: arrivals, departures, meetings, ceremonies, press briefings, interviews, photo-ops, etc., involving President Clinton, Hillary Rodham Clinton, Chelsea Clinton, staff and others for the time period processed. 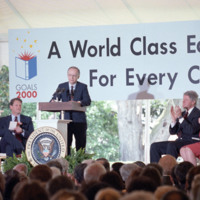 Secretary of Education Richard Riley addresses a Goals 2000 Education event on the South Lawn at the White House. He is joined on the dais by Hillary Rodham Clinton, Vice President Al Gore, Tipper Gore, Secretary of Education Richard Riley and Secretary of Labor Robert Reich. 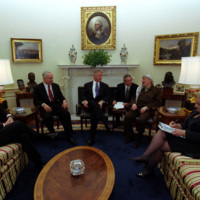 This collection consists of photographs from the Clinton administration taken from September 14, 1993 & September 25, 1993 through September 29, 1993. 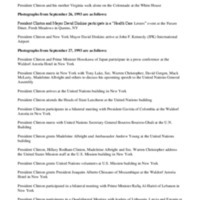 The segment contains photographs pertaining to: arrivals, departures, meetings, ceremonies, press briefings, photo-ops, and other events involving President Clinton, First Lady Hillary Rodham Clinton, and staff for the time period stated. 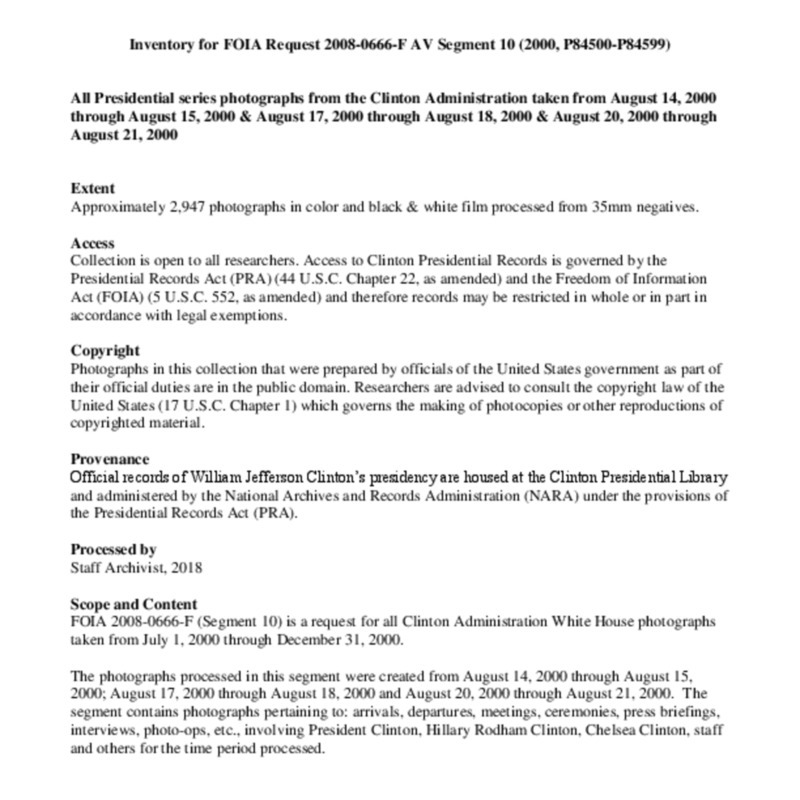 This collection consists of photographs from the Clinton administration taken from September 16, 1993 & September 22, 1993 through September 27, 1993. The segment contains photographs pertaining to: arrivals, departures, meetings, ceremonies, press briefings, photo-ops, and other events involving President Clinton, First Lady Hillary Rodham Clinton, and staff for the time period stated.